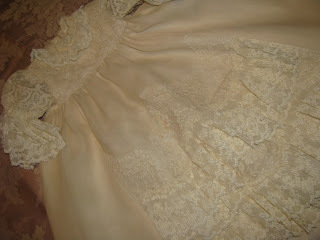 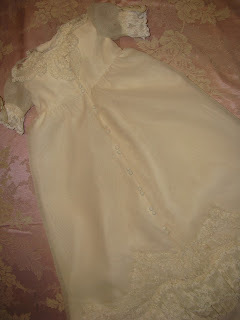 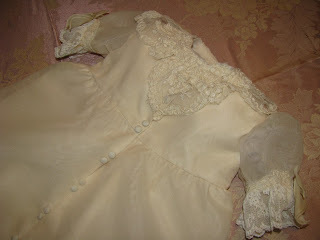 I had a client that wanted 3 Christening gowns created from her heirloom wedding gown. 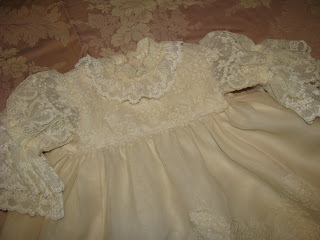 The end result was 3 unique and original designed Christening gowns. 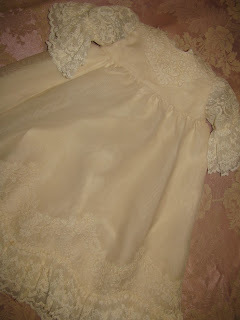 Now I am even more inspired to cut up my wedding dress and create my daughter's 1st communion dress next spring. 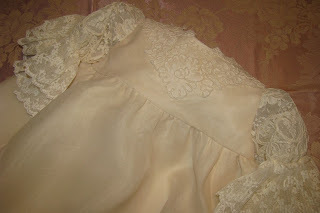 Click on the pictures to see a closeup.